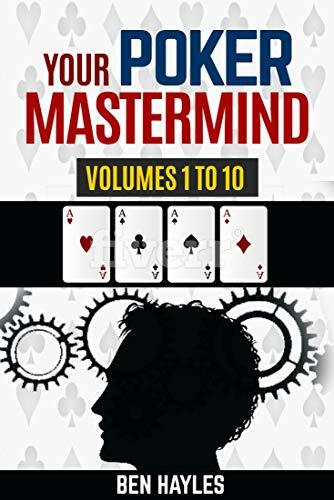 The 10 volume Your Poker Mastermind books is complete. All volumes are available exclusively at Amazon for just $2.99. Volumes 1-10 is available as a single book for $9.99 or $19.99 as a hard copy. Click on the images below to go to amazon. "Ben's insights are based on facts and figures, not just gut feel. This is a must read." This is the first poker book devoted to the subject of postflop play. Ben's simple and easy to follow writing style, along with over 100 sample hands, ensures that this book will appeal to both intermediate and advanced players. Ben delves deep into the complex universe that is postflop poker and offers up practical and useful insights, backed up by hard data, that can be taken by anyone and applied at the tables. This book is guaranteed to improve your game, change the way you think about hands and increase your confidence in your postflop decision making. You have been playing well for hours and finally end up at the final table - and with big money up top it's time to focus. All of your off-table work is going to pay off in a big way as you apply pressure in all the right spots. 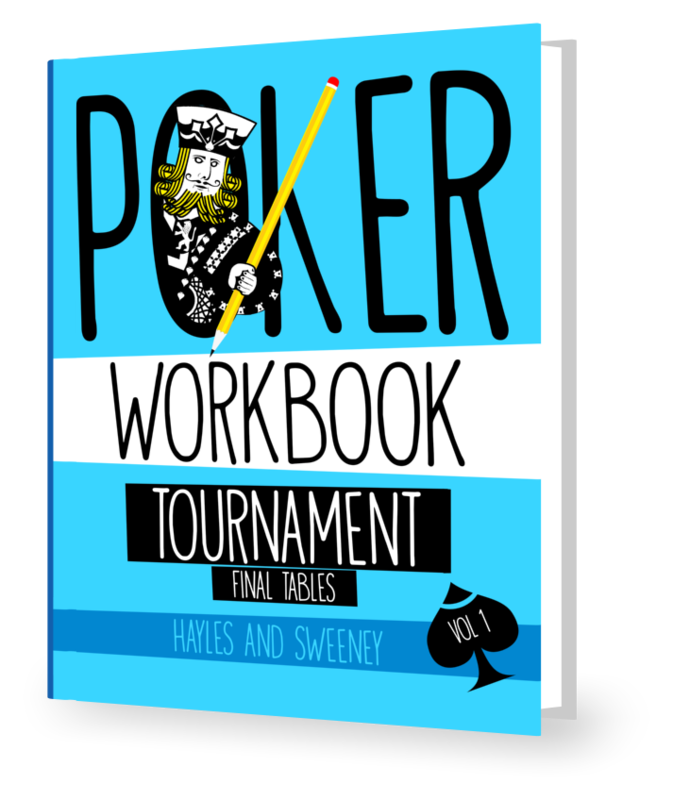 This is the workbook you do between sessions to ensure you get the most from every final table you make. Ben Hayles aka "Gamb64" is from Manchester, England, and has been successfully grinding as an online poker pro for the past 18 years. Ben is also a professional poker coach, specialising in No Limit Hold'em MTT (multi-table poker tournaments) and SNGs (Sit n' Go poker tournaments). Ben is well known for his poker strategy and use of database analysis to assess the game. He is among the best in the world when it comes to effectively using a HUD to beat the low to mid stakes games. Proven by his track record of consistently making the top 10 annually on the low stakes Pokerstars 6-max SNG leaderboards. Ben is a well respected figure in the online poker scene, having produced poker training videos for sites such as Holdem Manager, Tournament Poker Edge, Sit n Go Grinders and Transform My Poker. THE 10 MOST expensive MISTAKES IN POKER AND HOW TO AVOID THEM! To access your free copy of "The 10 Most Common Mistakes in Poker and How to Avoid Them!" Join Ben 'Gamb64' Hayles and team on the first poker podcast dedicated to the subject of postflop poker strategy. Want even more insights from Ben? Check out his poker blog, which is updated regularly, for more advice on specific poker hands, sit n go and MTT strategy and more! Ben "Gamb64" Hayles, is a well known and well respected poker pro, specialising in the SNG and MTT formats. With almost 20 years experience, Ben can help you improve your game for just $50 per hour! Keep up to date with all the latest podcast episodes, blogs, competitions and new strategy content...as well as some light hearted banter with the Postflop boys!